Made from Icebreaker's 200gm RealFLEECE® fabric, the Sierra Beanie delivers luxuriously soft warmth for really cold conditions. Sierra Beanie is rated 4.8 out of 5 by 8. Rated 4 out of 5 by DeNeal from So comfortable to wear Very good product overall. Soft, good warmth factor for such a lightweight beanie. I'd really like more color options like brown and blue. I wish the inside wouldn't shred on my shaved head. Rated 5 out of 5 by GOPhoto from Wonderfully Warm Just in time for this frigid cold snap. A great way to keep that "getting old" balding spot on the top of my head warm. And it looks great too. I think I will order another one in a different colour. Rated 5 out of 5 by DavidinEdm from Great running cap Great cap for running or cross country skiing. Light weight but warm. Merino is the perfect wick for moisture as it dries quickly but keeps you warm, unlike cotton or polyester that collects more sweat. Highly recommended! Rated 5 out of 5 by CanadianClimber from This hat is good for biking I wear this under my bike helmet when biking in the Canadian fall. It's warm and fairly windproof because of it being so close-fitting. I would buy it again. Rated 5 out of 5 by Sauvageau218 from This hat survived the canadian infantry Fits all my needs, really good product. I'll recommend this product. 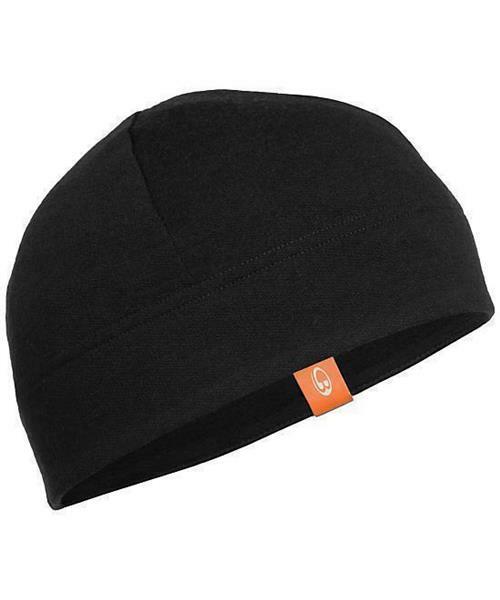 Rated 5 out of 5 by Shawnyboy693 from Awesome Beanie Great lightweight beanie. Perfect for running and hiking.